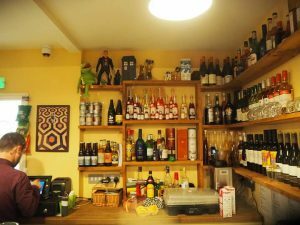 Went to Bristol Spirit, a bar just off the Bristol-Bath Railway Path. 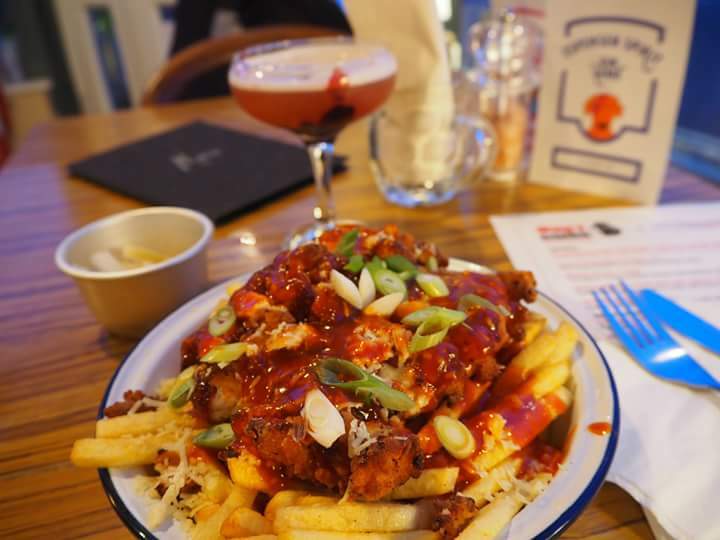 Saw a Wriggle deal for dirty fries with Korean fried chicken. The Korean fried chicken is like Hainanese chicken chop but the skin is crispier. The chicken was cooked to just how I like it, completely white on the inside. The skin remained crispy even when doused in Korean sauce. It came with Korean pickles. I even got to sample the chilli and pineapple pickle they planned on adding to the menu. Thumbs up from me! I really rate the decor too! 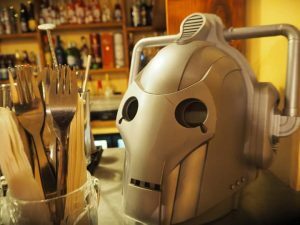 Pop culture, Bowie, Doctor Who and dogs. Couldn’t resist the cocktails especially with such cute names and labels. I had Genie’s cheesecake, made with Gin Genie gin, Frangelico, pineapple juice, lime juice and syrup. It really tastes like cheesecake as they claimed! 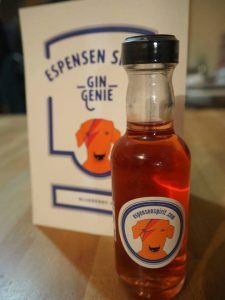 Of course then I had to buy the cute gin with a Bowie Daschund as its logo! Their logo is the Clifton Suspension Bridge in the shape of a Daschund (the owner’s dog! ).